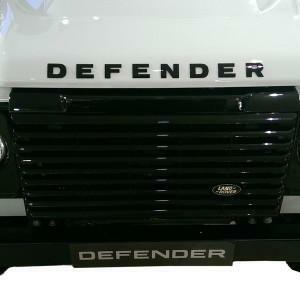 Update the look of your Defender with this black lettering for the bonnet. This is how new Defenders come instead of having "Land Rover" on the bonnet. This comes as 2 badges - "DEFE" + "NDER"